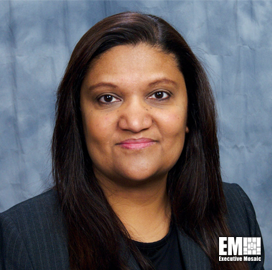 Archana “Archie” Deskus, formerly chief information officer at oil and gas company Baker Hughes (NYSE: BHGE), has joined Hewlett Packard Enterprise (NYSE: HPE) as global CIO. HPE President Antonio Neri wrote in a blog post posted Thursday Deskus will help advance an information technology strategy as the company works to implement its HPE Next initiative. HPE Next is a company-wide program that aims to advance investments in key growth areas, redesign business processes and simplify the organizational framework in an effort to generate approximately $800 million in net cost savings by fiscal year 2020. Deskus will directly report to Neri, who assumed the president role in June. Prior to Baker Hughes, she previously held vice president and CIO roles at Ingersoll Rand (NYSE: IR), Timex Group USA and Carrier. Deskus also worked at United Technologies Corp.’s (NYSE: UTX) Pratt & Whitney subsidiary for three years and served as an adjunct professor at the University of Connecticut.